""Jenny was spectacular. She knew exactly how to stage and list my condo, and we had multiple offers and agreed on the right buyer within 2 days of listing. And then all during getting ready and selling my condo, she helped coordinate countless listings in our search for a new home, which we also found. We could not have done this without Jenny! She was wonderful from the start all the way to the closing of our new dream house!" Mike T (Old Town & Dunning)"
""Jenny was super helpful! She was patient through all my anxiety about choosing an apartment. I would definitely use her when choosing an apartment again." Amanda (West Loop)"
""Jenny consistently went above and beyond, in every possible way. I would absolutely recommend Jenny for all of your real estate needs!" Jeff (Old Town)"
""Jenny was very enthusiastic, courteous and diligent, working with my schedule, following up on my requests and recommending top professionals for me to work with to close the transaction. Most importantly, she gave me the confidence to act when I saw the place that felt right. Thank you, Jenny!" Hanna (Gold Coast)"
""Jenny was great to work with. She made our whole condo search very fun and had some excellent suggestions and referrals on how to navigate the entire process. She was extremely attentive and responsive with any questions or concerns we had. Will be referring anyone to her that I can!" Emily & Nick (Logan Square)"
""Jenny was super attentive to all my needs and very helpful in explaining everything as well as being flexible!" Lawson (Bucktown)"
""Jenny was amazing! She held my hand when I needed it, and was such a wonderful resource during the entire process. I can't wait to move in to my new condo!!" 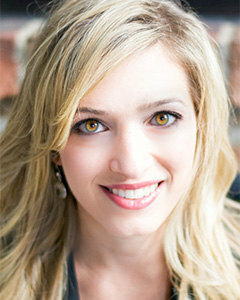 Deb (Uptown)"
""It wouldn't be easy for us to buy a condo if we didn't have Jenny as our agent. She is a very hard-working, dedicated person. She immediately started building great relationship with us, getting to know us and our needs. She's awesome." Nina (West Town)"
""Jenny was great throughout the process - always available & very communicative; she made it so easy for us to find a new place!" Christine (Lincoln Park)"
""Jenny was fantastic from start to finish. Organised, committed and patient, she took the time to help me and gave me great guidance. Finding my new apartment was actually a really enjoyable experience. Thank you." Daniel (Lincoln Park)"
""Jenny Berger helped me and my boyfriend Bob buy our first house. When we started the process we had a ton of questions, and we're not sure where to start. So I reached out to Jenny. Jenny and I actually went to high school together, and we had recently reconnected via Facebook. I talked to my boyfriend about reaching out to her since I knew her personally, and being first time home buyers we really wanted someone we could trust, and help guide us through the process. We weren't sure what to expect when starting the process, but Jenny was beyond helpful and exceeded our expectations. She started by having us come in at an @Properties office to talk about what we wanted in a home, and then went through the entire process with us. She helped us find a loan, find a lawyer and a house inspector (which were also amazing to work with). She set up an online search for us based on the neighborhoods we wanted to live in, our price range and the type of house we were looking for. When we first started looking we thought we wanted a single family home. Jenny took us to various houses, and she helped us look at the pros and cons of each. I think she knew before we knew that a single family home was going to big too big of a project for us, but she helped us realize that in our own. After we decided to look at Condos she knew we wanted a 2 bed, 2 bath with lots of space. She again knew based on what we shared with her that we really needed a 3 bed 2 bath. Because Jenny took the time to really listen to what our needs were, she was able to help us find our dream house. Literally everything that we wanted/needed. A 3 bed, 2 bath in Uptown right by the park and lake which was important to me, and that was turnkey which was important to Bob. She looked at comps in the area and helped us come up with our first bid. Our offer was accepted right away, and Jenny moved quickly to get everything set up for a successful close. As things got down to the wire she was there every step of the way and made what is an exciting yet very stressful time incredibly easy and seamless. I would recommend Jenny to anyone looking to buy a house whether its you're a first time home buyer, on your fifth house, or even looking to rent. Bob and I are so happy with our new home thanks to Jenny!" Carol & Bob (Uptown)"
""Jenny was great! She showed us places in our price range and was very helpful and knowledgeable." Rachel (Lincoln Park)"
""Jenny has been extremely helpful, knowledgeable and thoughtful. She made the first time home buying experience seamless and easy. Jenny gave excellent advice and recommendations along the way and she exceeded all expectations. I would recommend working with Jenny to anyone looking to purchase a home!" Courtenay (Old Town)"
""Jenny stands out as one of the most patient, thorough and responsive agents with which I have ever worked. Her knowledge of Chicago and desire to please her clients putting her at the top of agents in the market. I will be recommending Jenny to anyone looking for an agent." Bradley (Albany Park)"
""Jenny IS absolutely stellar! I was torn about moving back to the Pacific Northwest after moving to Chicago in January; however, Jenny made all the difference. She's bright, inquisitive, a go-getter, thorough and truly cares about her clients "loving where they live". She found me exactly what I was looking for- and, as a bonus! She even found me a residence that was designed by a group of Pacific Northwest Architects. I am over the moon with my new living space and I plan on shouting from my rooftop pool (and to anyone else who will listen) how fabulous she is. I consider her a trusted business associate and I make it a priority to carry her business cards with me daily. Jenny is a shoe-in to rock the Chicago Real-Estate market in the years to come. Thank you, Jenny!" Laura (River North)"
""Jenny was a tireless advocate for me as a buyer, and surpassed all of my expectations. I could not have asked for a better agent!" Adam (Uptown)"
""I thought Jenny was the most professional broker I have met in Chicago and I've met quite a few! Her knowledge of the local market coupled with great energy/follow-through made it a pleasure to work with her. She knew what my roommate and I were looking for and worked tirelessly to find us the perfect place. I would rate her 6 stars if I could! I will definitely be recommending Jenny to any one I hear is looking for a place." Eric (River North)"
""Jenny was outstanding. Extremely helpful and responsive to questions while remaining upbeat and very friendly. She knew exactly what to look for in a property and get us the best possible option." Kelley (Lincoln Park)"
""Jenny was great to work with. I really appreciate her help and support throughout the purchase process. Her organization and coordination throughout made it a seamless process." Howard (West Loop)"
""Jenny is the best at answering questions promptly and helping you step by step through the buying or renting process. She is very thorough with the listing search options and takes time to understand exactly what you are looking for. Amazing experience!" Jenny (West Town)"
""Jenny did an outstanding job accommodating my difficult schedule and providing options that made sense given my budget and preferences. She was always ready to help, often on short notice. I was very pleased with how easy she made the process and I am enjoying my new home. I highly recommend Jenny!" Mike (River North)"
""Jenny was amazing. From the time I reached out she was attentive to my needs and truly understood what I was looking for in a home. I will recommend her to my friends and ask her for assistance in the future." Sarah (West Loop)"
""Jenny was a huge help for my roommates and me as we searched for a place that fit within our budget! She went above and beyond what was required and made sure we were able to find a place that we love!Thank you again!" Corrie (Bucktown)"
""Jenny was very helpful in finding us an ideal home. She quickly intuited our style and preferences, which saved a significant amount of time in our housing search. She was friendly, easy-going and made the whole process much easier. We would absolutely work with her again in the future." Kevin (South Loop)"
""This is the second time I've used Jenny in the past year. She "saved" me from the nightmare of having to find a new place and VERY FAST! Within 2 hours, Jenny sent me listings, went to 7 places in 1 night, and guided me to decide on the home of my dreams! She is a rare breed of broker who provides you with beyond a personal touch but is your real estate, full service, concierge. Jenny deserves 6 ****** for her enthusiasm, knowledge, resourcefulness and dedication to her customers!!" Eric (River North)"
""Jenny was wonderful to work with throughout the whole process. She was friendly, prompt, and professional. She even laughed at our bad jokes. Thanks so much!" Mike (West Loop)"
""Jenny was incredibly helpful in finding an apartment in Chicago. Moving is never an easy process, but it's made even more difficult when you are relocating from Boston. After sending us dozens of listings to review within our search parameters, Jenny set up multiple viewings for us on a single day to provide a few different units for comparison. Once we made our decision, she helped us move quickly to submit our application and ultimately secure our #1 option." Tracey (South Loop)"
""Jenny was extremely helpful, friendly and professional. I highly recommend her!" Jennifer (Uptown)"
""Jenny was great! She was SO quick to respond to my inquiry and helped us find a place in the short amount of time that we gave her." Amanda (Bucktown)"
""Worked great with us to find the right place that suits our needs." Peter (Wicker Park)"
""Excellent. Very professional and helpful. Helped expedite this process." Jerald (Albany Park)"
""Jenny was wonderful to work with!" Jackie (Gold Coast)"
""Jenny was great! She was SO quick to respond to my inquiry and helped us find a place in the short amount of time that we gave her." Amanda (Uptown)"